A fantasy cruise ten years into the past allows a glimpse of the nautical path not taken in a woman’s life as she sails away from her desired destination—a fulfilling relationship. Amy Impellizzeri’s literary experiment, Lemongrass Hope, showcases everything that is right and wrong about married existence, while turning on an alternative lighthouse as a beacon of optimism. This bizarre time-traveling experience delves into the psychological unrest that often occurs in a long-term relationship. Kate Sutton is married with two perfect children. But her marriage is far from perfect. On a getaway vacation without her family, a mysterious time warp enables her to see what would have happened if she had chosen the first man she had loved rather than the second. Kate discovers that she would have been happier with the first. This is the premise on which Impellizzeri’s engaging story is built. If one makes the wrong decision … what must happen then? Amy Impellizzeri is an advocate for women entrepreneurs and has a background in law and as a nonfiction writer. 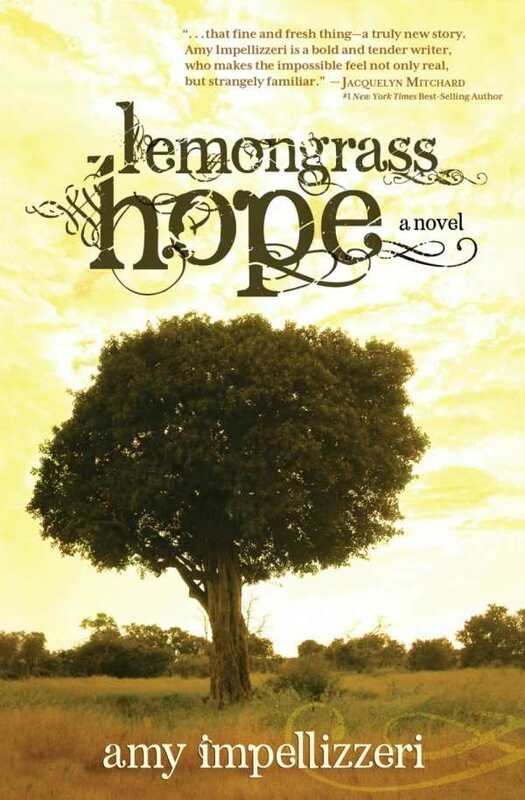 Lemongrass Hope is her fiction debut. Time itself is a villain in this unusual tale, yet the possibility of a dream come true remains on the horizon. Realistic portrayals mingle with strange phenomena in this heady mix of contemporary romance and psychic twilight.